Luxurious milk & honey delivers deep hydration and pure joy with a fresh milky scent and sweet honey straight from the comb. Twice the size of a standard lip balm! 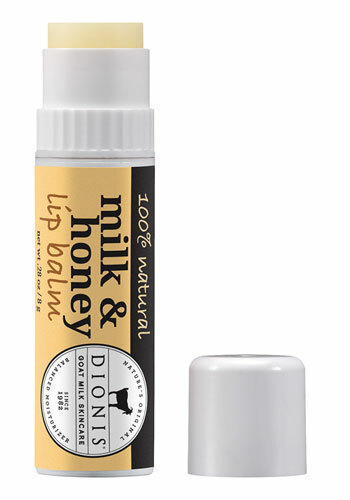 Infused with beeswax and natural Goat Milk, Shea Butter and Coconut Oil to repair chapped lips and keep moisture in. Goat milk is naturally enriched with high amounts of protein, fat, iron, vitamin A, B6, B12, C, D, E, and many more. These vitamins and minerals help the skin rebuild and help retain skin moisture. Directions: Apply liberally to lips as needed to lock in moisture. Copyright © 2013 Sculptz Inc.. All Rights Reserved.